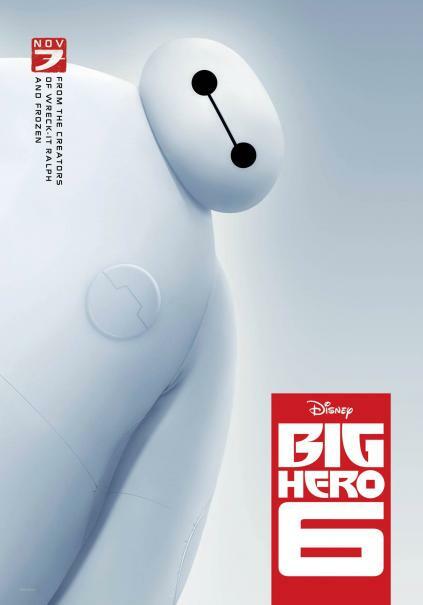 Plot Summary: From Walt Disney Animation Studios, the team behind "Frozen" and "Wreck-It Ralph," comes "Big Hero 6," an action-packed comedy-adventure about the special bond that develops between Baymax (voice of Scott Adsit), a plus-sized inflatable robot, and prodigy Hiro Hamada (voice of Ryan Potter). When a devastating event befalls the city of San Fransokyo and catapults Hiro into the midst of danger, he turns to Baymax and his close friends adrenaline junkie Go Go Tomago (voice of Jamie Chung), neatnik Wasabi (voice of Damon Wayans Jr.), chemistry whiz Honey Lemon (voice of Genesis Rodriguez) and fanboy Fred (voice of T.J. Miller). Determined to uncover the mystery, Hiro transforms his friends into a band of high-tech heroes called "Big Hero 6." Inspired by the Marvel comics of the same name, and featuring breathtaking action with all the heart and humor audiences expect from Walt Disney Animation Studios, "Big Hero 6" is directed by Don Hall ("Winnie the Pooh") and Chris Williams ("Bolt"), and produced by Roy Conli ("Tangled"). The film hits theaters in 3D on Nov. 7, 2014.